One striking weaknesses of our financial architecture, which helped bring on and perhaps deepen the Panic of 2008, is an inadequate appreciation of the past. Information about how the system functioned and the reliability of organizations and institutional controls were drawn from a relatively narrow group of recent examples. 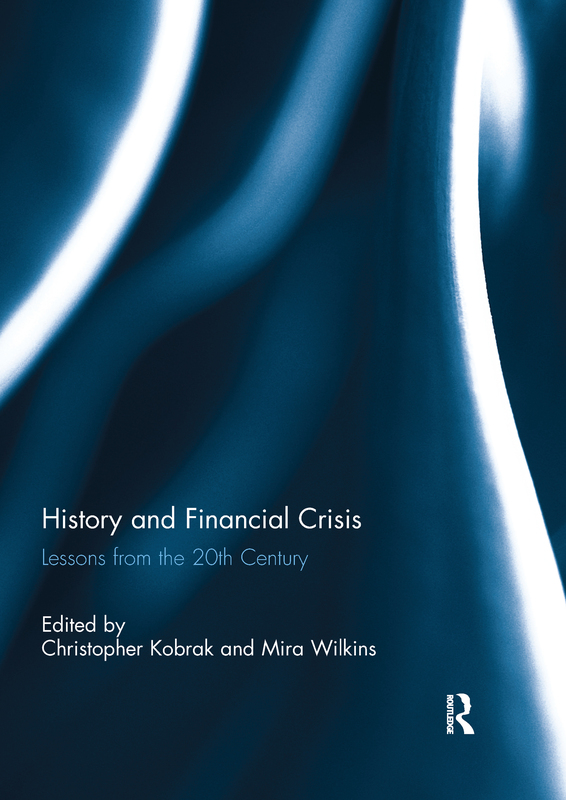 History and Financial Crisis: Lessons from the 20th Century is an attempt to broaden the range of historical sources used by policy makers to understand and treat financial crises. Many recent discussions of the 2008 panic and the economic turmoil have found the situation to either be unprecedented or greatly similar to that of 1931. However, the book's wide range of contributors suggest that the economic crisis of 2008 cannot be categorised in this way. Christopher Kobrak teaches Finance and Business History at ESCP Europe. His publications include National Cultures and International Competition: The Experience of Schering AG, 1850-1950; Banking on Global Markets: Deutsche Bank and the United States, 1870 to the Present; and European Business, Dictatorship and Political Risk, 1920-1945 (edited with Per Hansen) as well as articles in Enterprise and Society, Business History, Business History Review, and several other journals. Mira Wilkins is Professor of Economics at Florida International University, Miami, USA. She has published numerous books and articles on the history of multinational enterprise and of foreign investment in general. She is currently undertaking research for the third volume of her history of foreign investment in the United States, covering 1945 to the present.